As a novice online store owner, you may or may not have heard the term “SEO” being thrown around on the internet. If you don’t know what it is, it can sound overwhelming. When you first open your store, you can’t expect sales upfront unless you run ads, which naturally come at a price. One of the better long-term, reliable, and cost-effective ways to get sales is to keep your online store ranking highly in search engines like Google. Higher rankings mean better visibility for your store, which in turn converts to more organic traffic. But if you’re running your store by yourself, it’s not feasible to spend hours optimizing your website for search engines every day. 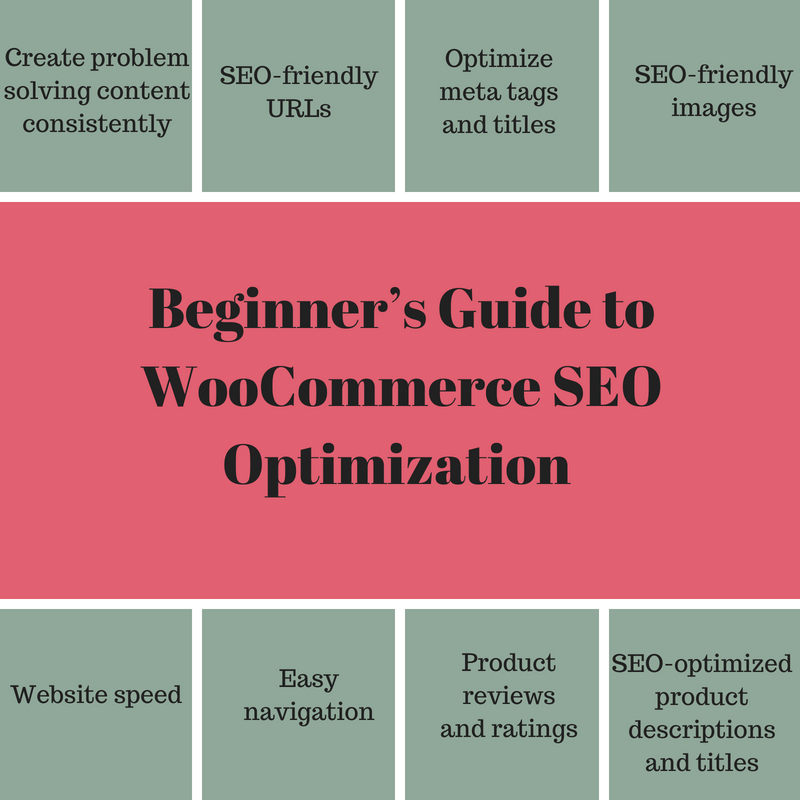 In this WooCommerce SEO guide, we’ll teach you how to build an SEO foundation for your site that’s easy to implement while setting up your store, no coding knowledge required. Google won’t know what you’re selling unless you write about it on your website. That’s why content creation is crucial to driving organic traffic. As a store owner with a busy schedule, it might be difficult to squeeze in an hour or two to write a blog post. However, creating problem-solving content is key to getting organic traffic and building a brand, and therefore can’t be overlooked. Keywords, as you may already know, are the phrases people enter into search bars to conduct online searches. Use them to your advantage! There are several tools out there to help you generate keywords, such as Ubersuggest, Moz Keyword Explorer, and KWFinder. Keep updating your visitors about trends, updates, hacks, how-tos, latest arrivals, and new offers. By using the right keywords in your posts, you’ll gain more organic traffic from your target audience. Create a monthly plan for your blog, then update it at least once a week to maintain consistency. Meta descriptions and title tags act as messengers, telling Google about the content of a page or post. The content on your blog and static pages (homepage, category pages, etc.) should tell Google what your site is about so it will be indexed for relevant search queries. Therefore, optimizing these two areas with the right keywords will improve the search ranking of your store in Google. Yoast SEO is a free plugin for WordPress and WooCommerce SEO that shows you how to optimize each post with keywords. 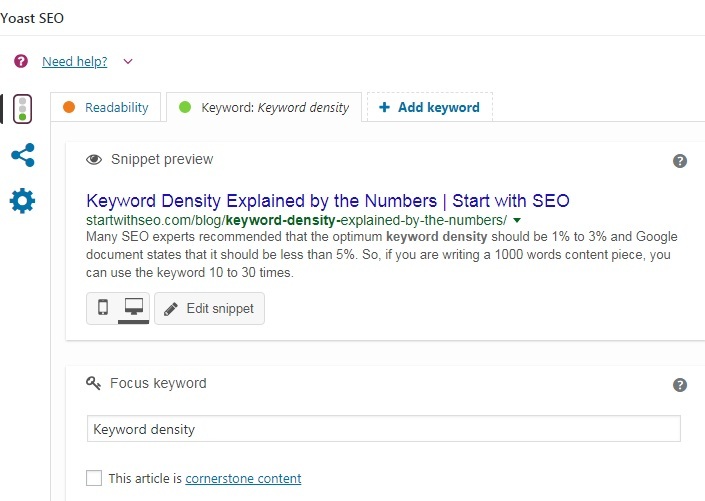 Once activated, Yoast analyses the title tag, meta description, headings, and content of each post for the targeted keyword. 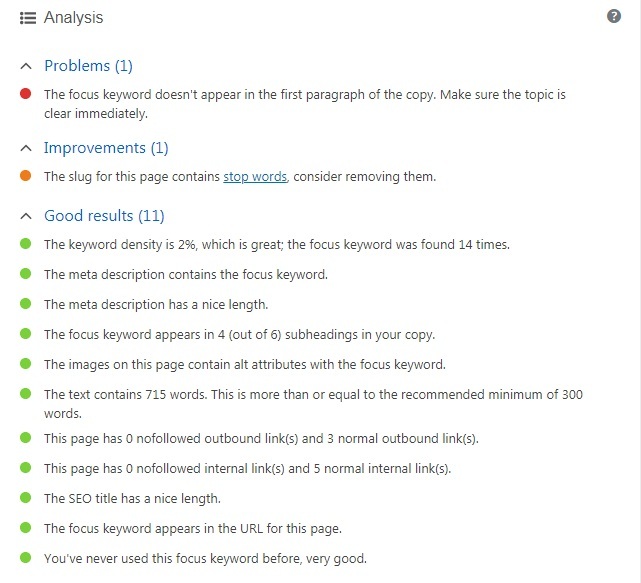 In the above example, the targeted keyword “Keyword Density” has been incorporated in the title tag and meta description. After analysing the post, Yoast suggests improvements if any can be made. Tweak your copy according to Yoast’s suggestions, but don’t stuff your post with keywords at the expense of readability. Content should read naturally, otherwise your bounce rates will rise and fewer visitors will convert to paying customers. 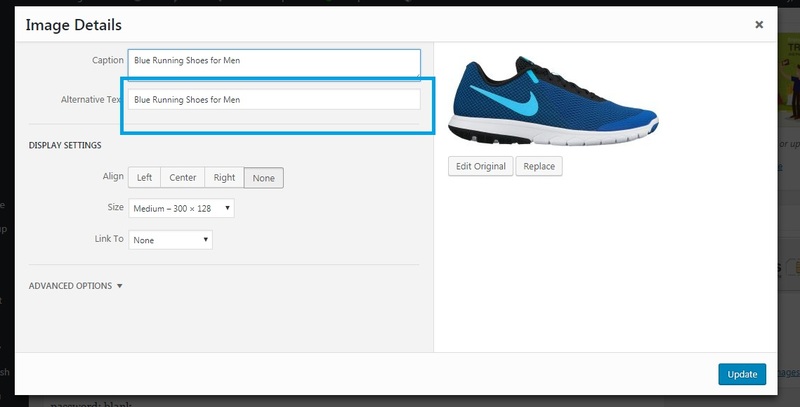 WooCommerce lets you create a new page for each product in your store. You can optimize these product pages by adding keyword-rich product descriptions. Creating a detailed description of 250–300 words for each product on your website will help you rank higher in Google. Your product descriptions should include product benefits (keep your ideal buyers in mind) along with relevant long tail keywords. “Blue Running Shoes for Men” is an example of a long tail keyword. Identify keywords associated with your products in Google Keyword Planner and incorporate them into your descriptions and product titles. Your product pages are more likely to rank in Google for related search queries when you optimize them with good content and relevant keywords. Every product page of your WooCommerce store has a URL. While compiling search results, Google considers the URL of a product page as much as its content. Long tail keywords in your product page URLs will tell Google what the pages are about. By default, in WooCommerce, the product title is your page’s URL, which is already great! However, if you want to add a keyword to a product page URL, you can easily do so by editing the permalink, as shown above. Users also look up images while searching for products. This creates an opportunity to optimize your store in product image search results. You can make every product image in your store SEO-friendly simply by including keywords in their alternative text, or “alt text”, fields. This text doesn’t appear in search results, but it does inform Google what each image is about, thus ensuring it is properly indexed for relevant keywords. The speed of your WooCommerce website is one of the factors Google takes into account when ranking your website. The faster it loads, the better it ranks, and the more it improves the user experience. 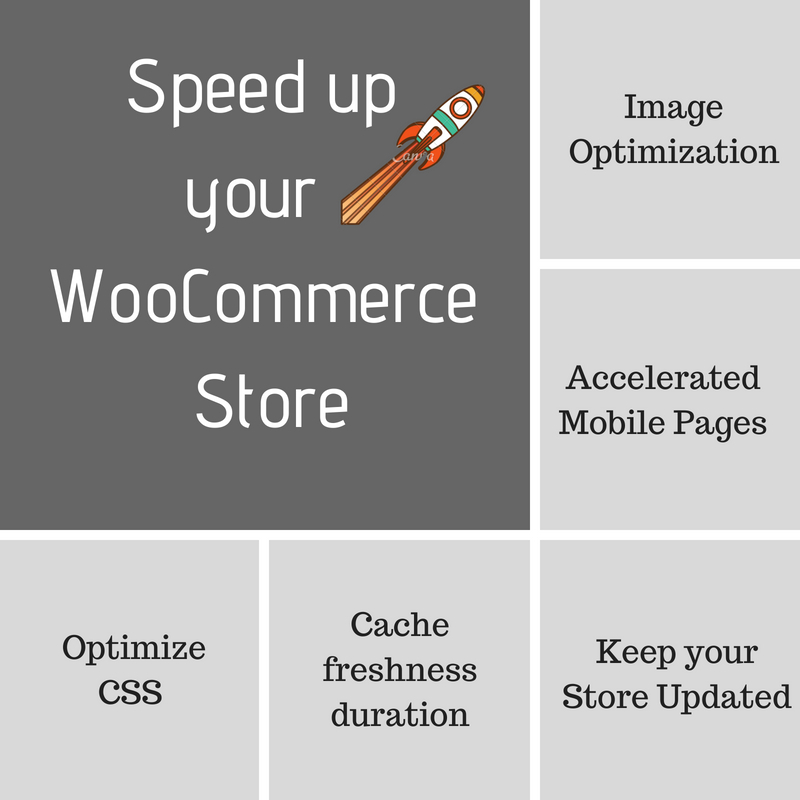 Feel free to check out our detailed guide on how to speed up your WooCommerce store. Imagify: Websites with high-resolution images take longer to load. This plugin can reduce the size of your images, which will improve the loading speed of your web pages. AMP for WordPress: AMP (Accelerated Mobile Pages) is a Google-backed project designed to make pages load quicker on mobile devices. With this plugin, your web pages and posts will load much faster for your mobile visitors. Autoptimize: This plugin does all the engineering work to make your web pages load faster. It concatenates, minifies, and compresses all scripts and styles, adds expires headers, caches your pages, and moves scripts to the footers of your website. If your store has a ton of products and no categories, your buyers will have a hard time finding what they’re looking for. 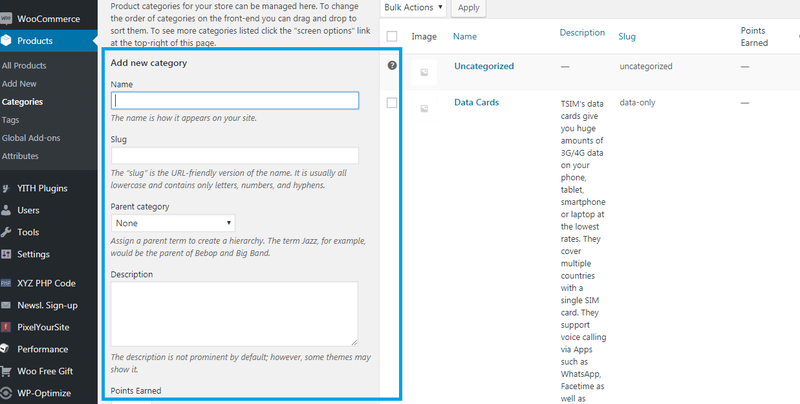 By creating tags and categories, you can organize your products to improve their accessibility. The benefits of easy navigation are not just for the user experience. Search engine crawlers will read your site structure and improve your WooCommerce SEO rankings for category pages. Good navigation also encourages visitors to stay on your website longer, improving conversion rates. Product reviews and ratings can greatly boost your local organic search engine rankings. 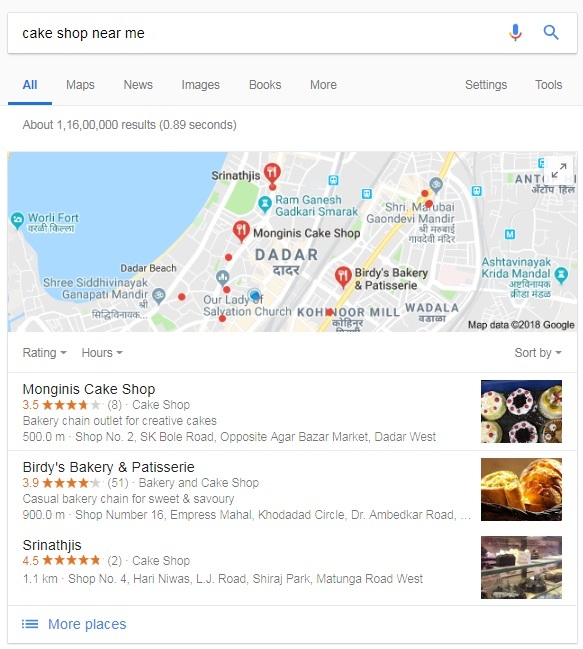 Google displays the top three results for any given query in your business area, and the results displayed are ranked according to reviews and ratings. Lots of good reviews and high ratings will help your website rank higher in Google. A higher search result rank gets more clicks, which means more business for your store. Enable reviews on your website, then ask your customers to rate and review your products after every purchase. This will increase your chances of getting good reviews and ratings. There’s much more to SEO than we’ve listed here, but this guide is a good starting point to help you optimize your site for search engines. Bear in mind that there’s no way to make your website the #1 search result on Google overnight. If you’re running a business on your own, your goal should be to create a consistent set of WooCommerce SEO standards for your website. By employing these techniques, you can create a sturdy foundation for your store with good optimization, user-friendly content, and easy navigation.